At number three in our top five retro hairstyles, we have 60’s British fashion model Twiggy – a true fashion icon. Twiggy’s image defined the 60’s fashion scene – her strong, androgynous looks, sharp pixie crop and thick eyelashes made Twiggy stand out from the rest of the models at the time. Twiggy’s look was fresh and fashion bible Vogue described her as an “extravaganza that makes the look of the sixties.” Her image took the fashion world by storm and remains an inspiration today. Twiggy’s mod style was very sleek and tamed with plenty of control. To recreate at home, it’s simple and can even be achieved with most bobs by tucking and pinning the front length behind the ears once complete. 1. Cleanse and condition the hair using the Regis DesignLine Moisture Shampoo and Conditioner. 2. Apply a small amount of Regis DesignLine Restoring Oil, which both smooths and strengthens the hair while maintaining the sleek style . 3. Dry the hair using a flat paddle brush. Dry the hair into the desired shape using the brush to mould the style into place. 4. 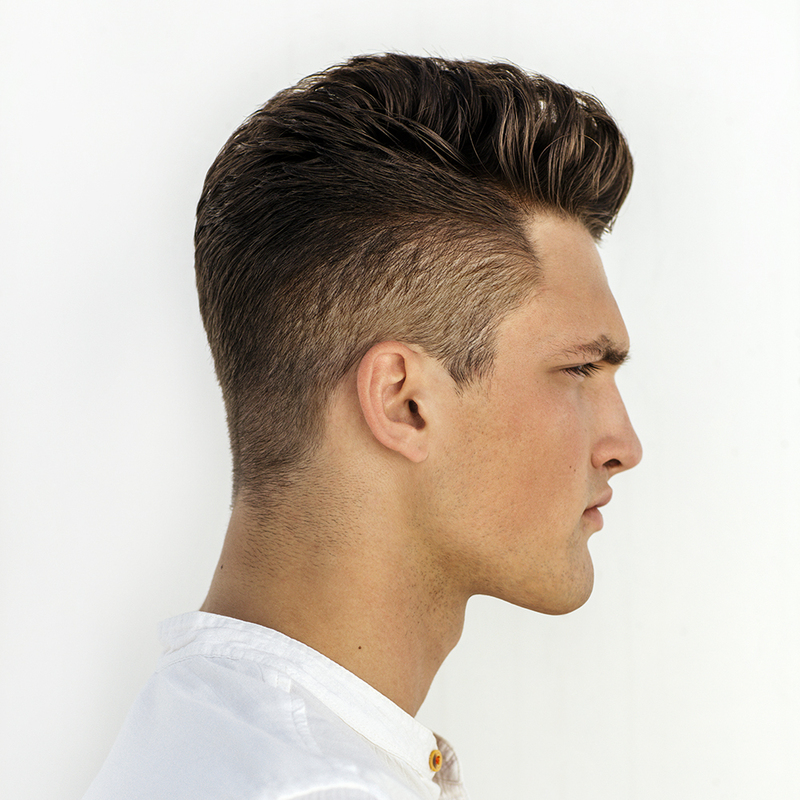 Get the ultimate side parting using a dressing comb to find the side parting. As you can see on Twiggy, it very much begins where the eye ends. So from that edge of the eye take your parting. Neat, straight and right to the back of the crown. Perfect. 5. 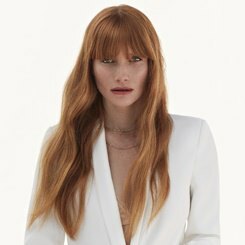 Now’s the time to iron the hair using some ghd classic stylers for that extra smooth finish. 6. Apply a small amount of Regis DesignLine Whipped Wax to calm down any strays if necessary. If you prefer to, you could even consider combing the hair whilst the product is applied for an extra polished finish. 7. Finally, finish with Regis DesignLine Hold Everything hairspray for some extra control and hold. Voila! Your Twiggy inspired look is complete! 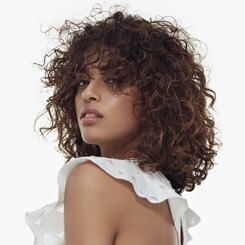 Remember, if the hair is cut into a bob now is the time to tuck the remaining hair behind the ears and gently secure using a Kirby grip similar to that of your hair colour. Celebrities such as Victoria Beckham and Keira Knightly have all rocked the mod look inspired by Twiggy. Her style is classic and timeless and is topped off with beautiful, warm blonde highlights. Want to go for a Twiggy inspired look today? Whether you want to go all out short or just add a few highlights, why not visit a Regis salon near you today! Find your nearest salon here.